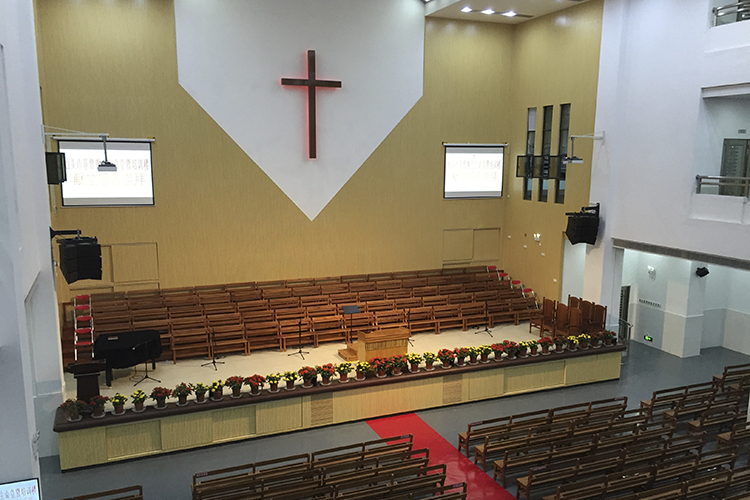 North East Asia has announced completion of its first Uniline house of worship installation in China. 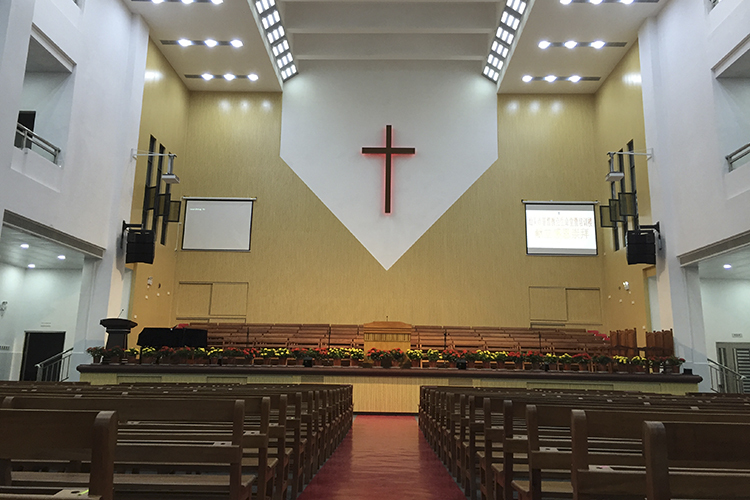 Situated in Shantou, the 3,000 capacity Shantou Sheng Ming Tang church is one of the biggest in the Guangdong province. The project was carried out by MPHK Group Ltd, the Hong Kong based APG dealer, who installed the entire sound system as well as HD video and LED stage lighting solutions. The project was completed in just a month, from system design to implementation. Raymond and his team knew the Uniline would be the perfect solution to tackle these sonic challenges and provide a consistent and smooth coverage all across the auditorium. They specified six UL210 for the main speakers system, coupled with two bass extension TB118S subwoofers. Two MX2 speakers were installed for the front fill, while six speakers from the DX range cover the balcony and stage areas. Audio distribution in the corridors is handled by ten APG MX1 distribution speakers from the Micro Axial series. The front of house speaker system is fed by three APG SA20:2 amplifiers, while the monitor and distribution speakers are powered by Crown amplifiers. All APG speaker parameters including level, equalization, delay time, etc. are managed by a couple of APG DMS48 digital controllers. 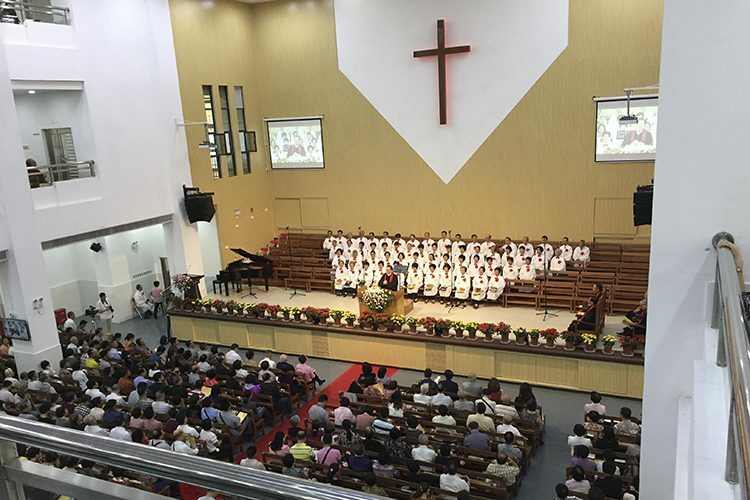 MPHK also selected a combination of wireless and handheld Shure microphones to deliver the sermons, while the choir has been fitted with two matched pairs of Haun microphones. According to Raymond Wong, the customer is extremely satisfied with the new audio system deployed, stating that it was the best they have ever heard. They are now looking at fitting APG speaker systems in sister churches.